No. 3 Company 15th Battalion C.E.F. 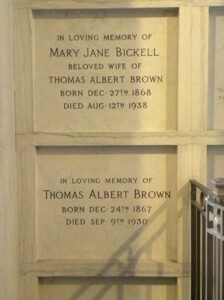 Richard Austin Brown was born on 21 October 1896 the son of Thomas and Mary Jane (nee’ Bickle) Brown owners of the Toronto company Brown Brothers Limited on 51 Wellington Street. He was an outstanding scholar and an accomplished athlete at every school he attended – Rosedale Public School, St. Andrew’s College and University College Toronto. He was a Corporal in the University of Toronto C.O.T.C. and in May 1915 was commissioned into the 48th Highlanders as a Lieutenant. 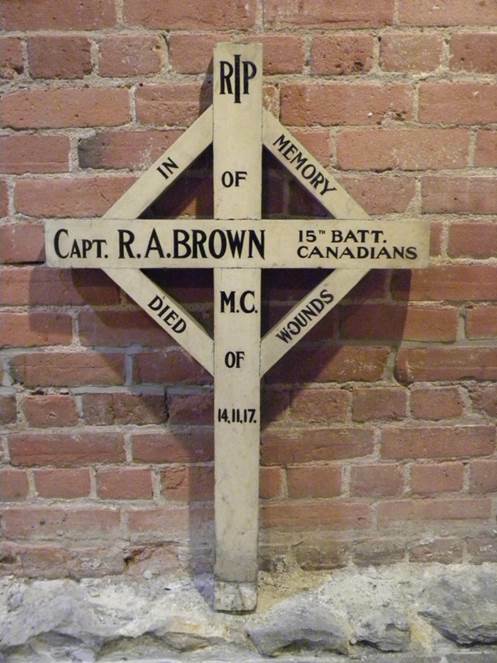 Lieutenant Brown was placed in draft to the 58th Battalion CEF and went overseas with them in 1915. In November of that same year, he was sent to the 15th Battalion CEF then in Belgium at Ploegsteert and St. Eloi. 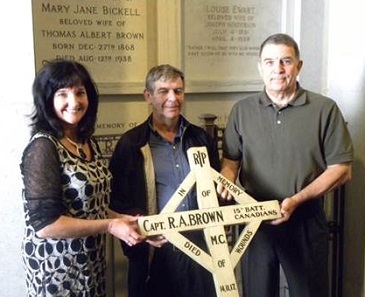 Lieutenant Brown was wounded at Observatory Ridge (Mount Sorrel) in June 1916 and sent to Canada to recover. 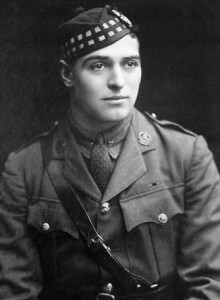 He returned to his Battalion and fought at Vimy Ridge in April 1917 winning the Military Cross; Hill 70 in August 1917; and finally at Passchendaele where he was wounded again and died of wounds received on 14 November 1917. He is buried in Lijssenthoek Military cemetery near Poperinghe, Belgium. At some point following the war, the Brown family obtained the original grave marker from their son’s grave at Lijssenthoek when the Commonwealth War Graves Commission removed all the wartime markers and replaced them with the standard headstones seen there today. 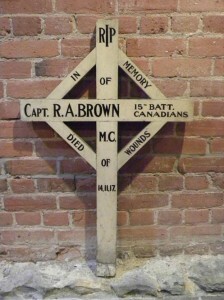 Captain Brown’s cross was located at the family crypt in the mausoleum at Mount Pleasant Cemetery in Toronto in 2013 by the 15th Battalion CEF Memorial Project Team. In 2014 after locating and receiving the permission of the surviving members of Captain Brown’s family and with the cooperation of Mount Pleasant Cemetery, the cross was transferred on long term loan to the Regimental Museum of the 48th Highlanders of Canada who raised and perpetuate the 15th Battalion CEF.